With the summer holidays on the horizon, you'll no doubt be looking forward to kicking back and relaxing either on a beach somewhere exotic or simply in the garden on a precious Sunday afternoon. But what about your tween? No longer young enough to be entertained with a bucket and spade but certainly not old enough to go off exploring on their own, what entertainment can you provide for your middle child that will both intrigue and capture their attention? 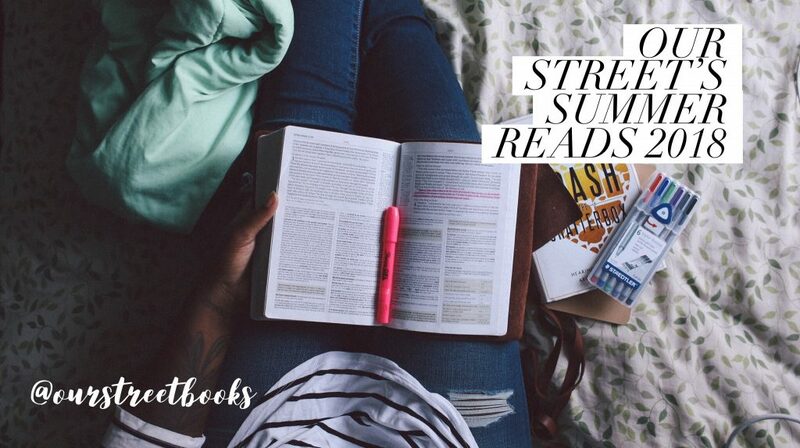 It is a known fact that reading improves concentration, helps young people develop empathy and teaches people about the world around them but it can also help create a bond between children and their parents. Many parents are beginning to pre-read middle grade to young adult books before recommending them to their children. This not only allows parents to ascertain whether the book is suitable for their child's reading level but it also gives them a great talking point before, during, and after reading the book. A fairy baby is swapped for a human baby. Ten years later the secret is out and Tara and Niamh along with friends Lucy and Jared set out on an adventure of a lifetime. 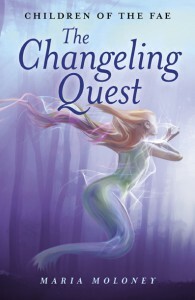 Join Prince Mithel and his intrepid band of young adventurers, in this exciting and courageous all-action tale. 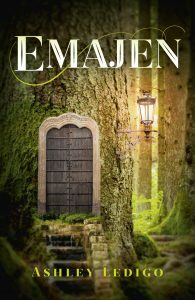 When Prince Mithel discovers a treasure map it takes him and his friends on an adventure to the underground tunnels of the castle where they encounter an ancient ghost that has been walking the tunnels for many years. The pirate ghost leads them to the hidden treasure, but their journey is fraught with danger as they encounter giant rats that are eager to eat them as well as other spooky challenges along the way. 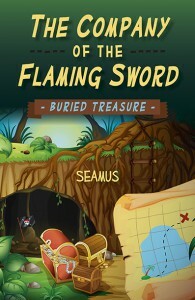 With magical weapons and portals that lead to other worlds, the fearless adventurers uncover mysteries including a key that unlocks the lost history of Caerleon. 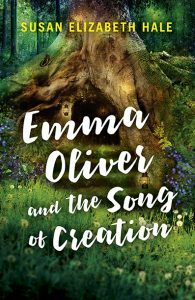 Eleven-year-old Emma doesn’t know that she comes from generations of tree singers, passed from mother to daughter. She doesn’t believe she can sing. Her ailing grandmother has just come to live with the family. Her father is hardly ever at home. Her mother has been acting strange. To add to Emma’s troubles, her mother’s great uncle from England is coming to stay. Then, a strange old woman wearing a hat full of feathers appears mysteriously in her garden. She gives Emma a white swan feather that emits a haunting melody. Emma’s only solace is the oak tree in her garden, which she names Annie Oakley. What she does not yet know is that Annie is part of a network of tree spirits who disguise themselves as old women. These spirits have come to Peachtree City to help Emma remember her mission to sing the Song of Creation and save the Great Mother tree. 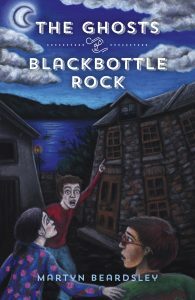 In this fantasy adventure, Fletcher and Scoop are Apprentice Adventurers from the ancient establishment of Blotting's Academy on Fullstop Island. This is the place where all story characters are trained. The trouble is, they can't remember how they got there. It's the first day of term, but the two apprentices soon realise something is wrong. Things are going missing, including their own memories, and Scoop has the unsettling feeling that something is creeping in the shadows. As the children search for answers, they become entangled with the life of the Storyteller, the islands creator and king. They journey to his wedding banquet and find themselves uncovering a hidden past. What is their connection to this mysterious man? And is there more to him than meets the eye? 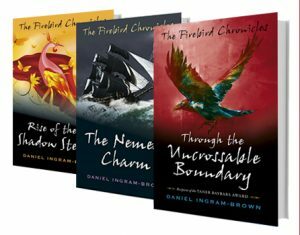 The Firebird Chronicles is a series including Rise of the Shadow Stealers, The Nemesis Charm and Through the Uncrossable Boundary (out 30th November 2018). Sam and Chloe never thought they would spend the summer holidays fighting a battle against the dark past that haunts Kingsholt, a mansion inherited by Chloe's parents. A long time ago the Vikings burnt down the monastery that was built near Kingsholt. A few monks who escaped hid the monastery's treasure and dug a pit in which to bury the slaughtered monks. They swore that if anyone opened up the pit and used it for other purposes a darkness would fall over the area. Nimbus,an obsessive one-time circus hypnotist and acrobat, lives with his wife and two children in a cottage in the woods of Kingsholt. He opens up the pit and uses it for all his rubbish. 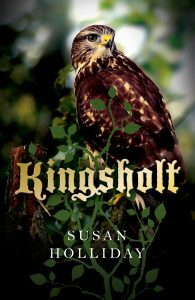 With death, kidnap and madness ensuing, can Sam and Chloe and their guardian Aidan, bring back the light to Kingsholt? Beating thousands of others, the geeky boy they call ‘Micky Moon’ at home, is one of ten children from around the world accepted onto the ‘Children’s Moon Program’ in Florida. If he can survive the g-force of a space-shuttle launch, overcome his secret fear of water and pass the other battery of tests, he could win a place on the next mission to the moon! The Princess Gardener is the story of a young girl who is a princess by accident of birth. Her passion lies outside the castle, tending the gardens. But castle duties call more and more often, and her parents insist she learn what she calls "the princess business." Reluctantly, she curtseys and bows and smiles her way through the empty rituals of the kingdom, but every day she longs for the smell of the earth. 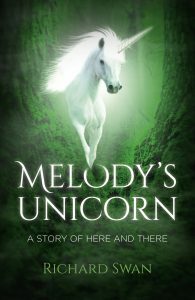 A chance encounter causes the princess to switch lives with a young farm girl, who is her exact likeness. When people begin to fall ill, the girls learn that the source of the sickness is covered-up pollution in the water supply. Will they discover their true capabilities and save the kingdom, or are the girls' lives about to become very complicated? How well do you know the Twilight universe… really? In her famous four-book series The Twilight Saga, author Stephenie Meyer refers to myth, music, history, literature and more. She masks numerous symbols in her romantic vampire dreamscape. 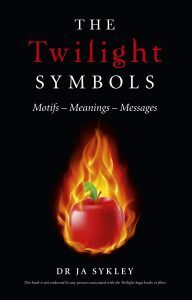 The Twilight Symbols is a rich A to Z guide to the symbols in the Twilight Saga that will lead you to discover whole new worlds, both real and mystical. 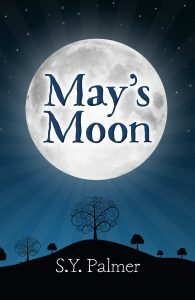 It will delight and inform Twilight fans, symbol seekers, and the keenest literature detectives. From apples to zombies, from Forks to Rome, from round meadows to moonlit beaches to dark forests, this compelling and comprehensive sourcebook spotlights the symbols that hide and reside in the Twilight world.